The Olde English Bulldogge is a recently produced dog. These dogs have yet to be universally recognized as a breed even as they are modeled on an old Bulldog breed that has been extinct for a while. They are also called Leavitt Bulldogs, and it is easy to confuse them with many other Bulldogs that have been bred with the same desire to replicate Bulldogs of yesteryear. The Olde English Bulldogge was conceived to be a guardian dog without the unprovoked aggression for which Bullys were long known. Until the 18th century, this remarkable aggression was widely desired, for the Bulldog breeds were fighting dogs that performed in public arenas. These days, however, dogs that are constantly hostile are not desired; they are often outlawed, frequently confiscated and sometimes even killed. As such, having a guardian dog whose ferocity can be managed and is only used when needed has been the desire of many Bully breeders. Granted, there is also patience, socialization and a great amount of training required to keep most Olde English Bulldogge problems at bay. Nevertheless, they are not too bad, even for first-time dog owners and families with kids and cats. Olde English Bulldogges are lovable, stubborn and yet (usually) eager to please those whom they love. They are intelligent dogs but also independent-minded. As a result, they can be stubborn. 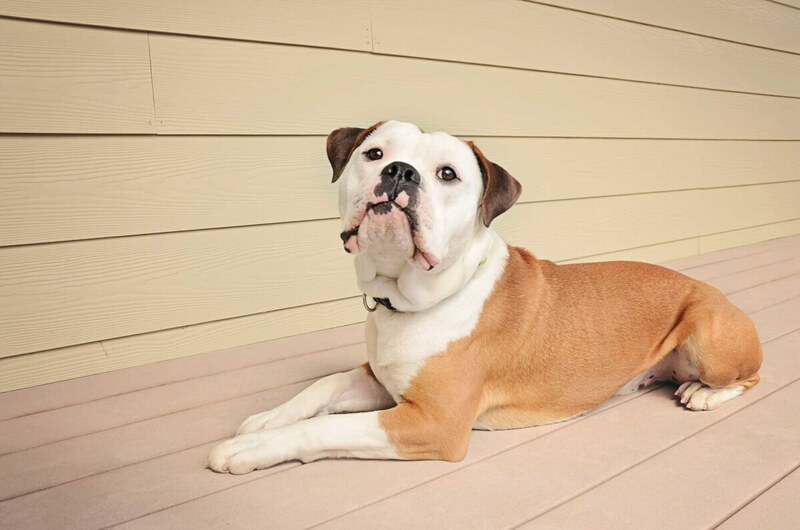 There is more and more information available as these dogs grow in popularity, so be sure to learn what you can if you plan to adopt one of these Bullys. Chewing is perhaps one of the most prominent habits they have. It's best to not attempt stopping them from chewing but to get them lots of chew toys and things that they can safely chew. This way, your shoes, furniture, and other possessions remain free of teeth marks. They are also extremely loyal dogs who, while friendly, will not hesitate to protect family members and property. They don't have the respiratory problems of English Bulldogs, and this allows them to be more active. Like the breed on which they have been fashioned from a couple centuries ago, they will be strong, agile and ready to run, play and exercise a lot. They won't nap frequently like most Bulldogs either. Olde English Bulldogge history is neither olde nor English. This breed, modeled on the Regency-period Bull Baiter, was resurrected in the early 1970s in the United States. In particular, a Pennsylvania man named David Leavitt was responsible for the dog's revival. He researched Bulldogs from the early 19th century, and from the photos, paintings and other records he drew up a model. What was desired was everything but the aggression. Employing a technique for cattle line breeding developed at Ohio State University, Leavitt used four breeds to get this "new" dog on its feet again: American Bulldogs, American Pit Bull Terriers, Bull Mastiffs and English bulldogs. He also formed the Olde English Bulldogge Association (OEBA) but in 1993 reportedly sold it to Michael Walz of Working Dog, Inc. He also sold off his then-current breeding stock as he had stopped breeding dogs. A number of other breeding programs sought to do the same work as Leavitt had. To help prevent confusion, the various breeders used bloodline names that evoke olden times: Wilkinson Bulldogs, Victorian Bulldogs, and even Dorset Olde Tyme Bulldogges. During this time, Leavitt had already taken up the name "Leavitt Bulldogs" to differentiate his dogs. They are still occasionally called this today, as Leavitt has returned to breeding dogs. Some years later, in 2005, Leavitt worked with the recently established Olde English Bulldogge Kennel Club (OEBKC), which had been founded in 2001. 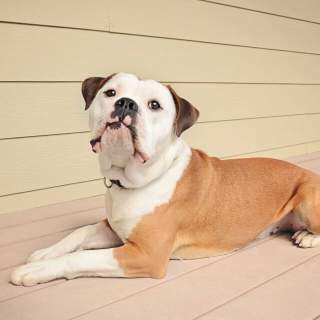 He announced that the OEBKC would be the official registry of the Olde English Bulldogge bloodline that he had produced some 30 years earlier. By 2008, this kennel club had joined the Canine Developmental Health and Performance Registry (CDHPR) with the apparent intent of working toward the recognition of a pure breed. 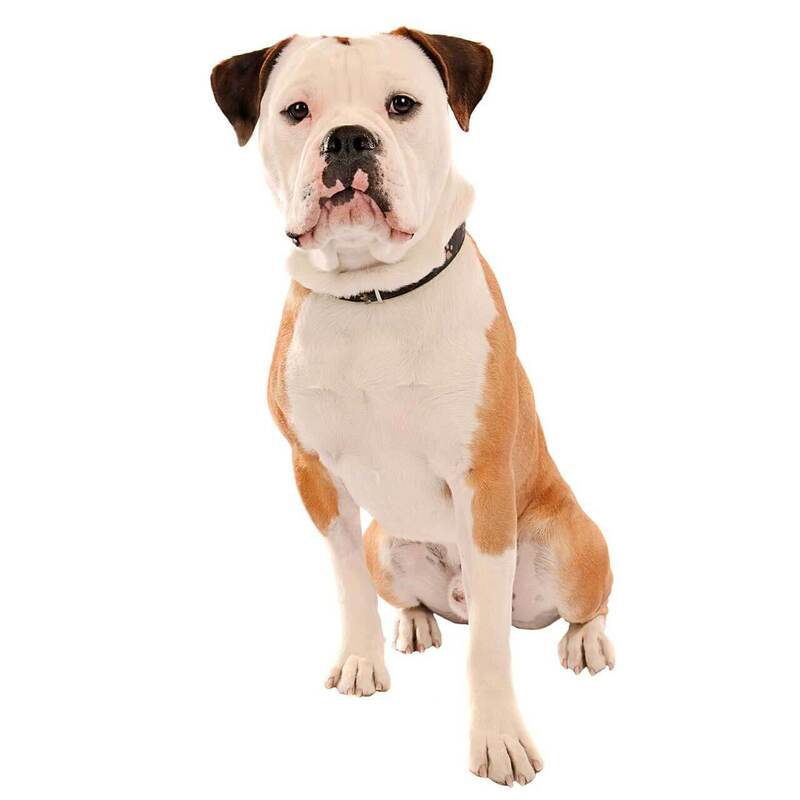 Success was found when the United Kennel Club (UKC) formally recognized the Olde English Bulldogge in 2014, and the UKC listed the OEBKC as the breed's "parent club." The lack of a standard for Olde English Bulldogges (OEB) makes recognizing their characteristics difficult. Some people will say there are just a few colors and that the many shades and patterns fall within one of these few. There there are those who attempt to identify every hue, shade, and pattern and then say that each one is a color. Many breeders do agree that there are rare colors, however. The general agreement is that black, blue, chocolate, lilac their tricolors are rare. They are highly coveted among Bully lovers and command high prices. The typical Olde English Bulldogge (OEB) size is like it looks: heavy! Although these dogs are by no means tall or even very large dogs, they do weigh a lot and they are pretty big on their somewhat short legs. If you are wondering how big an Olde English Bulldogge gets, there are those that are bred to be much bigger than this average size. There are differences between the size aspects of the sexes. Mature male OEBs weigh 60 to 80 pounds, and fully grown females are much lighter, at 50 to 70 pounds. As far as height, there is much less disparity. Males stand 17 to 20 inches and females are nearly as tall at 16 to 19 inches. It's best to get a good weight chart so you can know the height ratio at a given age. There appear to be a great many varieties of Olde English Bulldogges, and yet there are some people who will say it is a breed as well as that there are no variations. These dogs are not recognized by any of the large kennel clubs save for the United Kennel Club (UKC). That basic absence of a breed standard allows for any breeder to announce types, whether their dogs or those bred by another kennel. Some people say that bloodlines developed by certain breeders are themselves breeds, but other people will say those are only varieties. The wide disagreement makes for a lot of confusion. The best that you can probably do is to know the variously named Bulldogges that have been produced over the last several decades. As for the biggest Olde English Bulldogge type, or teacup Old English Bulldogs, there are certainly very large Bulldogges but there are none of those micro/mini/toy ones. The look may be fearsome, but these dogs have an old English Bulldog temperament that minus the aggression. Olde English Bulldogges have a high tolerance for pain and noise, but they will respond in kind to a threat if required. Their courage is typically set aside among family members, for around them they are almost always docile. The one time they may not have a friendly personality is when they are eating; it's best to let them eat until they are done. Although their aggression has been basically bred out, stubbornness remains one of their traits. These dogs tend to be a bit difficult to train, and you will need a lot of patience just to get basic obedience completed. Until then, they may wander as they please, sleep when they want and "come" when they darn well feel like it! They may seem goofy and aloof, but they require a firm and confident alpha to master their behavior. The Olde English Bulldogge temperament with children is a wonderful one. These dogs are just fine being pulled, prodded and played with; they literally have a thick skin! They will be highly protective of your kids, but there are a few things you should know about having the two together. Kids should not play with these Bullys when it's time to eat. Also, very young or small children should be supervised around an Olde English Bulldogge (OEB) to make sure they aren't knocked down or otherwise injured. Finally, your OEB must be trained to know that while the kids aren't his master, he is not above them in the pack hierarchy. If these dogs believes this, they will disregard the child when the child is around. The dog may push them out of the way or even sit on them. Once your OEB is properly trained and socialized, they will form strong bonds with your children. Below are pictures and images of the Olde English Bulldogge. Because they are dogs that came from cross-breeding just a few decades ago, Olde English Bulldogges (OEB) have fewer hereditary health concerns than regular English Bulldogs. Still, there are problems with them, and it has been reported that the annual vet cost can be upward of $5,000. Perhaps the most notable issue is bloat. This can be prevented by feeding your OEB in small portions throughout the day. Olde English Bulldogges tend to live an average of 11 years, and their lifespan is a bit shorter than most dogs this size.